Photoshop and photography were made for each other. Whether you're using a digital pixel-grabber or hanging onto your beloved film camera, Adobe's revamped flagship image editor, Photoshop CS2, has the tools you need to fine-tune your photos, correct errors in exposure, lighting, or color balance, and go beyond your basic picture to create triumphant prize-winning photographs from shoebox rejects. Adobe Photoshop CS2: Photographers' Guide is aimed squarely at those who want to use photography creatively to produce compelling images, and want to master all the tools available to them. The emphasis here is on both traditional and leading-edge photographic techniques, and how to reproduce or enhance them in Photoshop. You don't need to be an ace photographer or Photoshop expert to create these eyecatching effects. All you need is this straight-forward, "all meat" book that shows you how to use Photoshop to enhance your images with the kinds of effects you admire. Did you know that using easy-to-master Photoshop tools you could do the following? • Duplicate colorful "cross processing" darkroom effects. • Work with Photoshop's Panorama stitching features. • Match colors between shots taken under wildly different lighting conditions. • Fix perspective in architectural photos even if you don't own an expensive perspective control lens. • Add zoom lens blur effects without using a zoom lens. • Move a storm-ravaged seashore 500 miles inland to the foothills of a mountain range. • Excise your obnoxious ex-relative from a family reunion photo without resorting to violence. • Change daylight scenes into moody dusk or ruddy dawn pictures. • Make mountains out of foothills. • Morph images to blend or distort them. 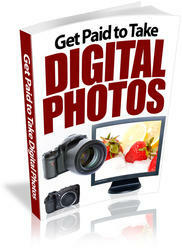 • Seamlessly extract images from their backgrounds. This book cuts right to the heart of all of the most misunderstood, but easily applied, tools in the latest version of Photoshop, examined from a photographer's perspective. It bristles with surprisingly effective examples, simple-to-follow techniques, and tricks that serve as a jumping-off point to spark your own creativity into action. While other Photoshop "photography" books give lip service to true photography, this book examines each topic from every photographic angle. Which effects are best achieved with a film or digital camera? Which effects are best applied in Photoshop? How can in-camera techniques and Photoshop augment and enhance each other? • Process your digital camera's RAW files with Photoshop CS2's improved Camera RAW plug-in. 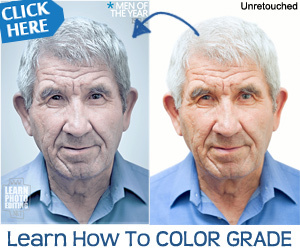 • Fix colors and tones, even if you don't know color correction or gamma correction from brightness-contrast controls, and think a histogram is a cold remedy. Photoshop has at least four different ways to bring off-color or dull originals to blazing life, ready for use in web pages and other applications. This document is created with trial version of^l^O^Not^^M.nony to create that photo you never could catch with your camera. • Duplicate darkroom effects not easily accessible to darkroom-challenged digital photographers.